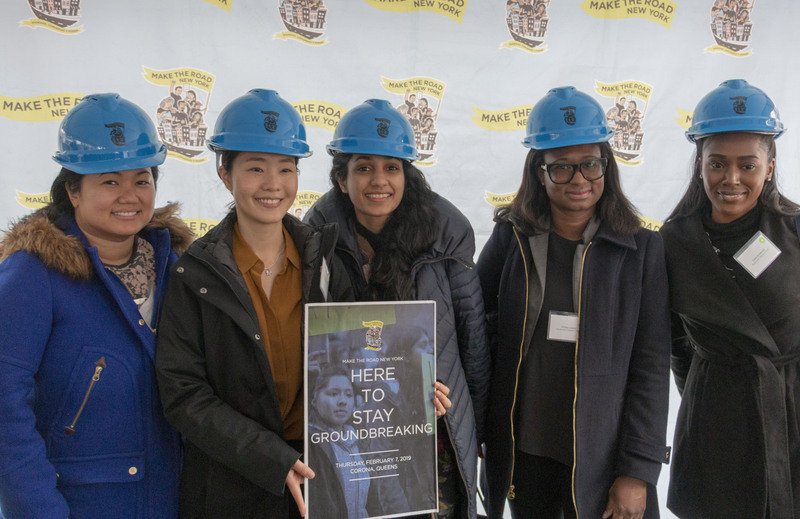 Feb. 7, 2019 – Nonprofit Finance Fund was proud to help Make the Road New York (MRNY) break ground on its new home in Queens, New York. The 24,000-square-foot building will double space for MRNY’s programs and services supporting immigrants and working-class people of color. The $28.6-million building project is being financed through government and philanthropic dollars, loans, and New Markets Tax Credits (NMTCs). NFF partnered on this community financing with BlueHub Capital; Capital Impact Partners, PNC Financial Services; NYCR-CDE, an affiliate of the New York City Regional Center; and Popular Community Capital, LLC, an affiliate of Popular Bank and a subsidiary of Banco Popular de Puerto Rico. Click here to read more about MRNY’s new facility and its work. Rise Community Capital provided real estate and financing advice, helping MRNY secure this flexible capital. Local Initiatives Support Corporation (LISC) and SeaChange Capital Partners’ Contact Fund provided early funding to the project, LISC with a $6.3-million acquisition loan that closed in 2017, and Contact Fund with $600,000 in predevelopment financing.